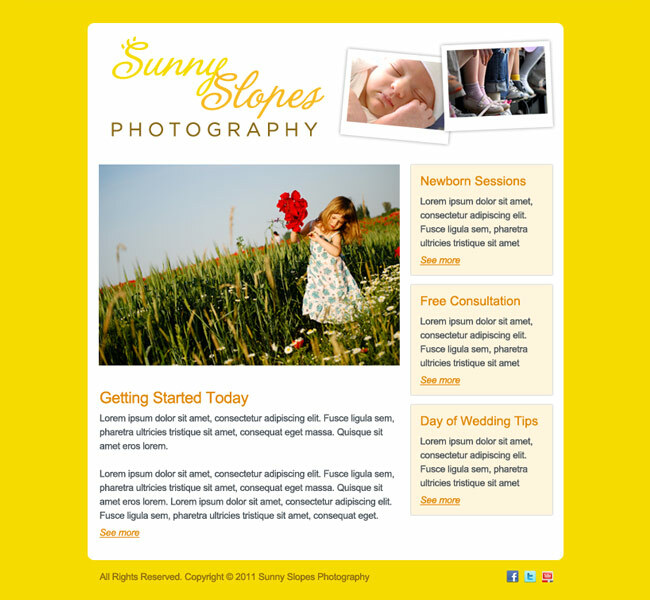 This Colorado-based photographer wanted an email template that matched her other marketing materials so she could send out great-looking emails to her clients and potential customers. She needed a large space for her great photography but wanted to incorporate some text each time, and some announcements on the side as well. We balanced all of these items and made the visual part of the email stand out with some fun elements that show off her sunny personality and great working style.